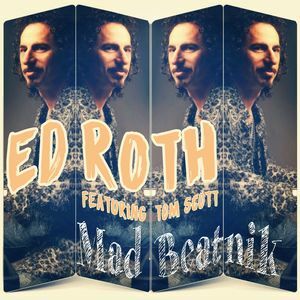 Ed Roth returns with his new single romp, "Mad Beatnik," joined by 3-time Grammy winning saxophonist, Tom Scott! Take a wild ride with the Mad Beatnik on his journey throughout the New Year! From the forthcoming second album "Mad Beatnik" by Ed Roth (WR041623). Ed Roth’s prior critically acclaimed self-titled debut album spawned three Smooth Jazz singles. As a Music Director, Ed Roth tours with Sophie B. Hawkins, Shuggie Otis, and is a member of Rock and Roll Hall of Fame Inductee Chad Smith’s funk party band, Bombastic Meatbats. Roth has also toured with Mya, Coolio, Brothers Johnson, among many others, and is endorsed by both Roland and QSC.